Using Terminate stakes and they keep popping up and I keep replacing, how long? 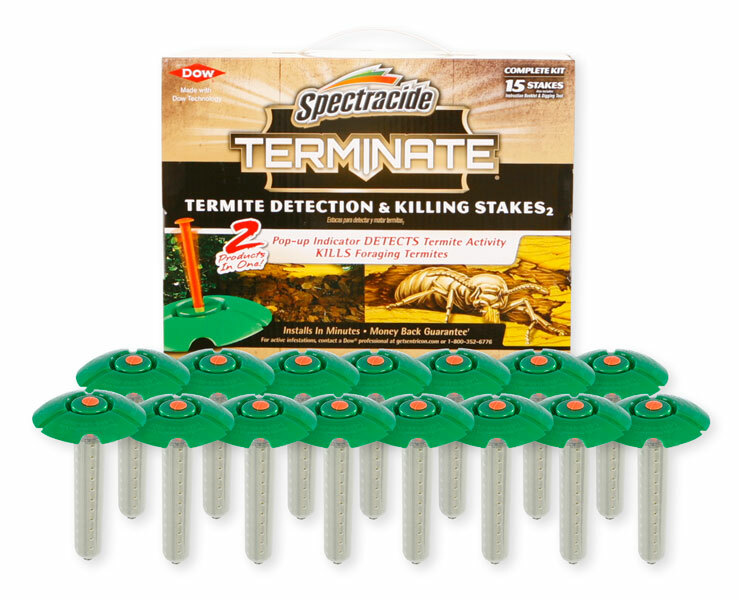 When using Terminate Stakes, the recommendation is to keep replacing the stakes as soon as the flag pops up. This usually indicates that termites are actively feeding on the bait matrix. When the bait is consumed, the flag pops up. So the bottom line is that you have to keep replacing the popped up stakes until the termites quit feeding or until the stakes quit popping. The best advice is to remove the stake from the ground and see if it's termites feeding or if the bait is just wet and soggy and has turned to mush which could also cause the flag to pop. If it's wet and soggy, they I would move the stake to a drier location.